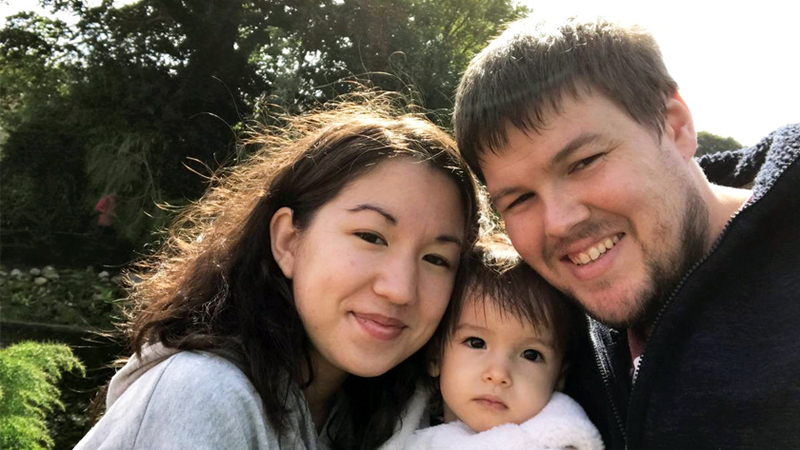 Emily and Nick Redmond are taking on the St Thomas’ abseil to raise money for Evelina London to say thanks for the ongoing care of their two-year-old daughter, Eva-Mei. Emily’s mum, Diana Jones, has bravely joined them and together they are Eva’s Army. At 25 weeks of pregnancy, Emily’s unborn baby Eva-Mei was diagnosed with spina bifida. Spina bifida is a gap in the spine caused by a baby's vertebrae and spinal cord not developing properly in the womb. This usually damages the nervous system, leading to problems such as weakness or paralysis of the legs and incontinence. Eva was born in December 2015 and referred to Evelina London for treatment five months later. Following her birth, she was diagnosed with several other conditions including scoliosis, club foot, muscle weakness and urinary problems. She has since received a back brace to correct her scoliosis and has a urinary catheter inserted several times a day to drain her bladder. To fix her club foot, Eva has had surgery on her Achilles heel, along with braces and a splint to support her feet and ankles. Over the past two years, Eva has been treated for a range of deficiencies and endured many scans, tests and check-ups. Despite all that Eva has been through over the past two years, she continues to defy the odds and Emily and Nick have seen her achieve things they didn’t think would be possible. They hope that the money they raise can go towards helping families in a similar situation. Donate to support Eva’s Army and help children like Eva-Mei. 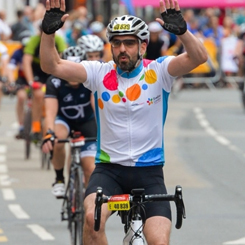 Inspired to take on a challenge for your hospital? Pick an event and sign up today!